Acoustic Noise Havens are becoming increasingly popular in automated plant areas and our design expertise means that we can tailor-make a solution to meet the needs of your operation. Designed and built to provide a quiet environment where employees can work and communicate with optimum efficiency, these bespoke solutions often incorporate access doors, dual glazed viewing windows, lighting and ventilation/air conditioning for the comfort of your personnel. 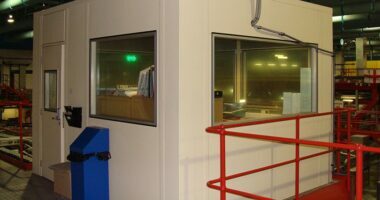 We also have substantial experience of semi-anechoic chambers which provide controlled acoustic noise test facilities for quality assurance and research development facilities. Contact Kimptons today to discuss the specs for your noise haven. Although officially it is one of the newest universities in the country, the colleges that make up Liverpool Hope University have a history of providing further education in the city for over 160 years. Down the years Liverpool has earned a world wide reputation for music of all kinds, from The Beatles to The Royal Liverpool Philharmonic Orchestra, coincidentally founded in the 1840’s at the same time as Hope’s first college. 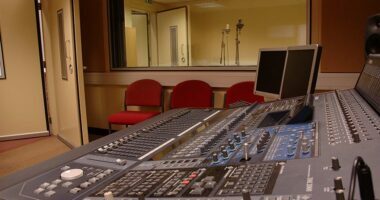 With the city now set to be the European Capital of Culture in 2008 renewing even greater musical interest, Liverpool Hope University has expanded its music department with the construction of a new teaching recording studio and control room. Sited on the first floor of the University, the new music studio had to ensure that whilst internally it was protected from external airborne noise and achieved acoustical characteristics for good sound quality, outside the studio none of the music carried to other parts of the building. Kimpton Energy Solutions were appointed to address this noise management challenge. 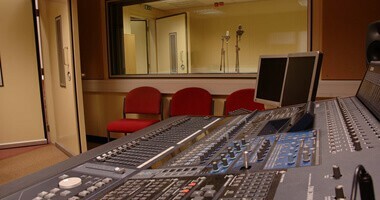 Both the music studio and the larger control room were of modular construction enabling design and manufacture by Kimpton at its factory on the Wirral and then assembly of the panels from flat pack on site. The acoustic wall and roof panels supplied were of nominal 100mm thickness, complete with floating mass barrier. Externally they were polyester powder coated in a light ivory finish whilst internally the walls were covered in a durable cloth finish. 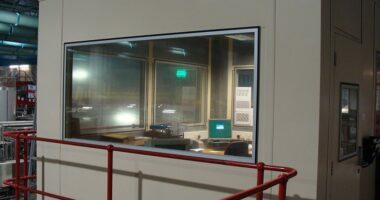 The internal floating floor with anti-static carpet tiles in the control room and ceramic tiles in the studio, was tuned to 10Hz to provide vibration isolation against structure-borne noise transmission. 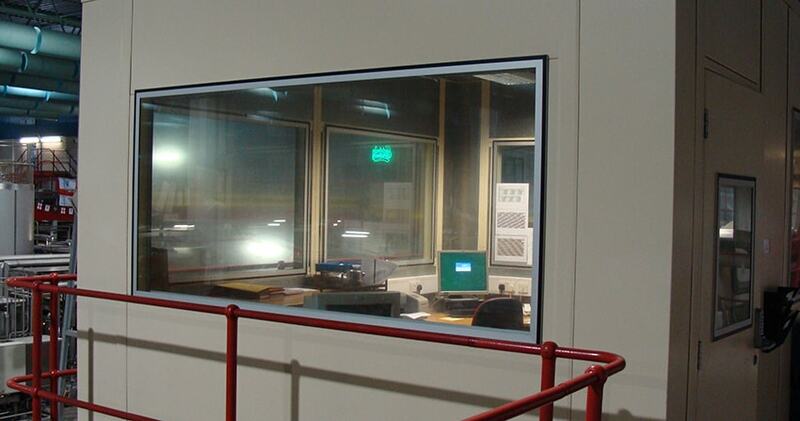 Quadruple glazed soundproof windows provided a visual link between the two rooms, but with 8.8mm and 11.5mm thick clear laminated safety glass set in vibration isolating aluminium panels and with window reveals lined with 12mm thick open cell polyurethane expanded foam, there was no chance of noise transfer. Disability Discrimination Act (DDA) compliant soundproof pedestrian access doors completed the structures. These were compatible with the walls in terms of acoustic performance and included complete dual glazed windows to each door leaf. As well as the basic structure of the rooms, controls against internally generated noise such as from ventilation systems or light fittings also had to be in place. Stand-alone external air conditioning units with heating and cooling capacity to each room, complete with ducting, silencers and internal ceiling diffusers were therefore part of the ventilation system design.